A few years ago, we were hearing a lot about airlines testing and beginning to run on biofuels (combined with petroleum). With the latest announcements, are we ready for take off? This summer, United Airlines begins flying from Los Angeles to San Francisco on 30% non-edible oils like camelina and agricultural waste and 70% jet fuel. United is also taking a stake in the industry, announcing a $30 million investment in Fulcrum Bioenergy, which is about to start producing biofuels from municipal waste. And Fulcrum will supply United with up to 90 million gallons of biofuels a year – 3% of United’s annual consumption – under a 10-year contract worth $1.58 billion, according to Biofuels Digest. Last year, Hong-Kong based Cathay Pacific Airways invested in Fulcrum and signed for 375 million gallons over 10 years (2% of its annual fuel). Fulcrum starts construction of its first commercial factory this year near Reno, Nevada. After it comes online in 2017, another four are planned, all producing 30-60 million gallons a year. It’s working on much larger plants that can scale to 300 million gallons a year. Because of Fulcrum’s low feedstock costs, it can produce biofuels for $1.00 or less per gallon once it achieves scale. Besides running on cleaner fuels, United benefits from fixed prices – a hedge against the volatility and rising prices of fossil fuels – its biggest cost. United will also accrue carbon credits, which it can sell if the aviation industry launches its anticipated cap-and-trade program. "We are seeing more and more that United is going to be a prime mover and that strategic players are stepping up to help this sector come to life," Fulcrum CEO Jim Macias told Biofuels Digest. "For us, it tightens up our schedule and gives us greater certainty that these plants will be built on schedule and on time." "We have created a business that will compete directly with fossil fuel on the basis of cost and sustainability," he adds, noting that partners include long-term contracts with two of the largest garbage companies, the US Air Force, Navy, and Department of Agriculture. A $70 million grant from the Department of Defense and $105 million loan guarantee from the USDA is funding the first factory, the Fulcrum Sierra BioFuels project. 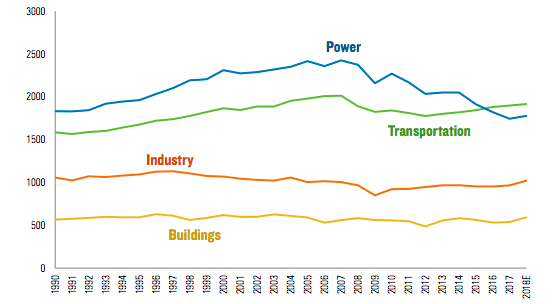 Municipal waste is considered one of the few waste streams that can replace significant amounts of petroleum and purportedly cuts emissions 80% from fossil fuels. Everything that can be recycled or composted is removed before Fulcrum uses a gasification process to turn remaining waste into syngas and then into liquid fuel. FedEx and Southwest also signed contracts for 3 million gallons each from Red Rock Biofuels as of 2017. Red Rock uses wood waste from forest and sawmills. A $70 million grant from USDA, Department of Energy and US Navy is partially supporting construction of its first factory, which begins this fall in Oregon. In the past five years, 40 commercial airlines have flown about 600,000 miles on a combination of biofuels and jet fuel, according to Aviation Biofuel Sustainability Scorecards by the Natural Resources Defense Council. The US airline industry consume 23 billion gallons of fuels a year for passengers and freight, and the industry is responsible for 777 million tons of carbon emissions a year as of 2013 – about 2% of global emissions, according to the Air Transport Action Group. Under the Farm to Fly initiative, the USDA, Federal Aviation Administration, Airlines for America trade association, Commercial Aviation Alternative Fuels Initiative and Boeing are working together to develop a commercially viable biofuels industry that can supply the airlines. 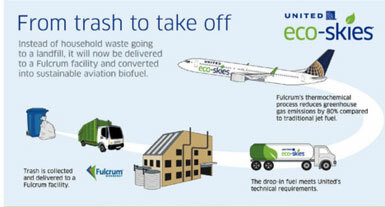 The goal is for 1 billion gallons of renewable jet fuel to be available by 2018. USDA is stoking production by setting aside 80,000 acres in six states to grow non-food crops that can be converted into biofuels. Last year, the US Navy announced that biofuels are the "new normal" and will be incorporated into all solicitations for jet engine and marine diesel fuels. They are building dedicated biorefineries on-site at facilities around the world. Read our articles, Airports Launch Carbon Certification System, and Can Biofuels Make a Dent in Replacing Petroleum?